Christoforos Perraivos (Greek: Χριστόφορος Περραιβός) was a Greek officer of the Greek War of Independence, member of the Filiki Eteria and author. In non-Greek sources his name is usually found as Per(r)evo(s). Chr. Perraivos, a painting at the National Historical Museum, Athens. 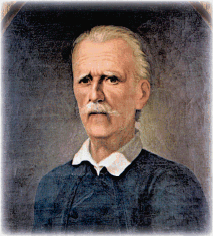 Perraivos was born on 3 April 1773 in the village of Palioi Poroi, Pieria. His family name was Hatzivasilis (Χατζηβασίλης), but adopted the nickname “Perraivos” alluding to the Perrhaebi, an ancient Greek tribe of Thessaly. It is believed that he was an illegitimate son of a certain monk Hieronymos, an official at the Metropolis of Larissa. In 1793, with the help of the said Hieronymos, he left Greece to study at the Greek School in Bucharest and in 1796 to study medicine in Vienna. There he met the Greek humanist and revolutionary Rigas Feraios and entered an underground revolutionary organization. In 1797 Perraivos was arrested with Rigas and others by the Austrian authorities in Trieste but, unlike Rigas Feraios who was handed over to the Turks, Perraivos was released. Afterwards he left for Corfu, then under French administration, and enlisted in the foreign units of the French army. He remained there when the Russians took over the Ionian Islands in 1798. He fell into disfavour with the Russians but he managed to stay in Corfu and to serve in the army, thanks to the protection of the Greeks Eleftherios Benakis (a Russian agent) and Georgios Palatinos (secretary of the Russian Admiral). In Corfu he worked also as a teacher in Greek schools from 1804. During 1805-1806 he was attached to the Russian admiral Mikhail Dolgorukov and later was given the rank of major by the Russian admiral Dmitry Senyavin. As a commander of 4 units of 100 men ("hekatontarchies") he defended the island of Lefkada (one of the Ionian islands, then "Santa Maura") that was threatened by Ali Pasha. When the French occupied the Ionian Islands for second time in 1807 he retained his rank and became a member of the Albanian Regiment, established the same year (Boppe, p. 11). Memoirs of his service under the Russians and the French are included in his “History of Souli and Parga”. This work was written in Corfu in 1801, where he stayed till 1817. Its first volume was published in greek in 1803 in Paris and includes the earliest historical essay on Souli based on first-hand informations gathered from Souliotes refugees fighters in the island. It also includes information on the activities of Russia, France and Britain in the Ionian and Adriatic during the Napoleonic Wars and the wars against Ali Pasha and the Ottomans. It was translated to italian by C. Gherardini in 1815 and from italian to english in 1823. In 1817, after the departure of French from Corfu, he emigrated to Russia. In Odessa he met the leaders of the Filiki Eteria and became a member of this organization. Following the orders of the Eteria he travelled to the semi-autonomous Mani Peninsula to organize the revolution against the Ottoman Empire. In Wallachia he met Alexander Ypsilantis, the political and military head of the Greek revolution, in 1820 and tried to persuade him to postpone the uprising. However, Ypsilantis, resolved to begin the revolution in March 1821, sent Perraivos to Epirus to coordinate with the Souliotes and other captains whom he knew from Corfu. He was in Epirus on the outbreak of the revolution (March 1821) and fought with the Souliotes in various battles, as in the siege of the Riniassa castle. After the treaty between Souliotes and Ottomans and the evacuation of Souli, he went to Missolonghi and then to other parts of Greece, participating in many military campaigns and political missions. In 1829 participated in the Fourth National Assembly at Argos as a representative of Thessaly. After independence he authored his "War memoirs". He served in the regular army of the new Greek Kingdom as a colonel, and was promoted to Major General by King Otto of Greece in 1844. He died on 4 May 1863 in Athens. History of Souli and Parga, Venice, 1815. In greek. War Memoirs of various battles between Greeks and Ottomans in Souli and East Greece from 1820 till 1829. Written by colonel Christoforos Perraivos from Olympus of Thessaly, in two volumes. Athens, 1836. In Greek. Short biography of the celebrious Rigas Feraios the Thessalian. Athens, 1860. In Greek. Hymn of praise from whole Greece to general-in-chief Bonaparte, Poem by Christofors Perraivos, Corfu, civil year 6 (1798). In Greek. Ύμνος εγκωμιαστικός παρ' όλης της Γραικίας προς τον αρχιστράτηγον Μποναπάρτε, ποίημα Χριστοφόρου Περραιβού. Εν Κερκύρα, χρόνος έκτος πολιτικός (1798). ^ Encyclopedia "Papyros-Larousse", article "Περραιβός", Athens, c. 1965. In Greek. ^ Agapetos S. Agapetos, The glorious Greeks of 1821 … (Αγαπητός Σ. Αγαπητός, Οι ένδοξοι Έλληνες του 1821 …), Patras, 1877, vol. 1, pp. 245-251. In Greek. Kordatos G.K., article “Περραιβός” in the "Μεγάλη Ελληνική Εγκυκλοπαίδεια" (Great Greek Encyclopedia), c. 1939, vol. 20, p. 65. The Albanian Regiment (French: Régiment albanais) was a military unit of the First French Empire formed in 1807 in Corfu. It was commanded by Colonel Jean-Louis Toussaint Minot and served mainly as defence unit in the Septinsular Republic, then a de facto protectorate of the French Empire. It was disbanded in 1814. Anagnostaras (Greek: Αναγνωσταράς; 1760 in Poliani – May 8, 1825 in Sphacteria) was a Greek revolutionary, a leading member of the Filiki Etaireia, and later a general and War Minister of the Greek War of Independence. Anagnostaras is a nom de guerre, he was born as Christos Papageorgiou (Greek: Χρήστος Παπαγεωργίου) and signed as Anagnostis Papageorgiou (Greek: Αναγνώστης Παπαγεωργίου). Antonios Komizopoulos (Greek: Αντώνιος Κομιζόπουλος) was a 19th-century Greek merchant and the 4th member of Filiki Eteria. The Battle of Andros took place on 29 April 1825 between the fleets of the Ottoman Empire and Revolutionary Greece. The Greek fleet, under Georgios Sachtouris, comprising 20 warships and eight fireships, defeated the Ottoman fleet of 51 vessels by attacking and burning with two fireships the Ottoman flagship—a 66-gun ship of the line—and a 34-gun frigate. The Ottoman fleet dispersed, allowing the Greeks to capture a sloop with its crew, as well five Austrian cargo ships destined to support the Ottoman Siege of Missolonghi. The Battle of Doliana took place during the Greek War of Independence on 18 May 1821. The Battle of Karpenisi took place near the town of Karpenisi (in Evrytania, central Greece) on the night of 8 August 1823 between units of the Greek revolutionary army and Ottoman troops. The Battle of Petra was the final battle fought in the Greek War of Independence. The Battle of Vasilika was fought between Greek revolutionaries and the Ottoman Empire during the Greek War of Independence on August 25, 1821, near Thermopylae. The Greek insurgents managed to destroy an Ottoman relief army on its way to the forces of Omer Vrioni in Attica, and captured the supplies and baggage. 800 Turks were killed and 220 captured. Greek trophies included 18 flags, 2 cannons, and 800 horses. The Turks retreated to Lamia, to the north of Thermopylae.This victory prevented the Ottoman army in Attica and Evia to enter the Peloponnese and deliver the Ottoman garrisons besieged by the Greeks. Dimitrie Macedonski (c. 1780 or 1782–1843) was a Wallachian Pandur captain and revolutionary leader. the Filomousos Eteria of Vienna, founded by Ioannis Kapodistrias in 1814, under the aegis of Tsar Alexander I of Russia.These societies were founded in the wake of the fall of Napoleon's mastery over Europe. The Western-educated Greeks, many of whom had been seized by the spirit of the French Revolution, had invested great hopes in Napoleon, whom they expected to support their aim for independence. Their foundation was part of a wider cultural awakening ("Modern Greek Enlightenment") and a reaction to news of destruction of Greek antiquities by the ignorant population, as well as to calls by pamphlets like the Hellenic Nomarchy to the Greeks to rely on their own strength rather than await foreign assistance. The First National Assembly of Epidaurus (Greek: Αʹ Εθνοσυνέλευση της Επιδαύρου, 1821–1822) was the first meeting of the Greek National Assembly, a national representative political gathering of the Greek revolutionaries. The Fourth National Assembly at Argos (Greek: Δʹ Εθνοσυνέλευση Άργους) was a Greek convention which sat at Argos from 11 July to 6 August 1829, during the Greek War of Independence. The Fourth National Assembly followed on from the Third National Assembly at Troezen (1827), which had adopted a new constitution selected Ioannis Kapodistrias as Governor of Greece with extensive powers for a seven-year term. The Assembly counted 236 representatives from all over Greece (including territories, such as Crete or Macedonia, that were still under Ottoman control), for the first time elected via suffrage. Greece on the Ruins of Missolonghi (French: La Grèce sur les ruines de Missolonghi) is an 1826 oil painting by French painter Eugène Delacroix, and now preserved at the Musée des Beaux-Arts de Bordeaux. This painting was inspired by the Third Siege of Missolonghi by the Ottoman forces in 1826, during which many people of the city after the long-time siege (almost a year) decided to attempt a mass breakout (sortie) to escape famine and epidemics. The attempt resulted in a disaster, with the larger part of the Greeks slain. The Greek Local Statutes were the local assemblies of Greece (the Charter of the Senate of Western Continental Greece, the Legal Order of Eastern Continental Greece, the Peloponnesian Senate Organization, the Provisional Regime of Crete, and the Military-Political Organization of the Island of Samos) during the Greek War of Independence who codified certain 'proto-constitutions' ratified by local assemblies with the aim of eventually establishing a centralized Parliament under a single constitution. The Greek national assemblies (Greek: Εθνοσυνελεύσεις) are representative bodies of the Greek people. During and in the direct aftermath of the Greek War of Independence (1821–1832), the name was used for the insurgents' proto-parliamentary assemblies. Thereafter, the term has been used for a number of extraordinary assemblies chiefly in regard to changes in the Constitution and the form of government of Greece. The London Protocol of 16 November 1828 was an agreement between the three Great Powers (Britain, France and Russia), which established the creation of an internally autonomous, but tributary Greek state under Ottoman suzerainty. As a result of the Greek War of Independence, which had begun in 1821, and the Great Powers' intervention in the conflict after the Treaty of London in the Battle of Navarino (1827), the creation of some form of Greek state in southern Greece had become certain. In 1827, the Greek Third National Assembly entrusted the governance of the fledgling nation to Ioannis Kapodistrias, who arrived in Greece in January 1828. Alongside his efforts to lay the foundations for a modern state, Kapodistrias undertook negotiations with the Great Powers as to the extent and constitutional status of the new Greek state, especially during the Poros Conference of the Great Powers' ambassadors in September 1828. Although the ambassadors recommended a broad territorial basis for the new Greek state, in November 1828, disregarding the ambassadors' recommendations, the Great Powers agreed on the first London Protocol, which created an autonomous Greek state, which would be tributary to the Sultan and limited to the Peloponnese (Morea) and the Cyclades islands. This left out Central Greece, Crete, and other islands which had participated in the Greek uprising and/or were at the time under Greek control. In the event, the Protocol was amended on 22 March 1829 by the signature of the second London Protocol, which largely accepted the Poros Conference's recommendations. Lykourgos Logothetis (Greek: Λυκούργος Λογοθέτης, 10 February 1772 – 25 May 1850 (O.S. )), born Georgios Paplomatas, was a Samian who became the island's leader during the Greek War of Independence. The son of a wealthy shipowner, Logothetis received a good education at Constantinople and then served as an official in the Phanariote administration of Wallachia. His political career experienced great vicissitudes: he served as an elder in his home island, taking the side of the progressive-radical Karmanioloi ("Carmagnoles", named after the French Revolutionary song Carmagnole) and the reactionary Kallikantzaroi ("goblins") who represented mostly the traditional land-holding elites. Under Logothetis, the Karmanioloi ruled Samos from 1807 until the intervention of the Ottoman authorities in 1812, which restored the Kallikantzaroi to power and forced the Karmanioloi to flee the island. During this time of exile he became a member of the Filiki Etaireia, and assumed the conspirational name by which he is better known. On the outbreak of the Greek War of Independence he returned to Samos and was quickly elected the island's political and military leader, founding the "Military-Political System of Samos", which he led until 1833, with the exception of the period 1828–30, when Samos was administered as part of the nascent Greek state. In 1833, through the intervention of the Great Powers, the island returned to Ottoman suzerainty as an autonomous principality, and Logothetis was forced to leave for the independent Kingdom of Greece. There he became involved in politics, and became a senator. He died of heart failure on 25 May 1850. Nikolaos Petimezas (Greek: Νικόλαος Πετιμεζάς, 1790–1865) was a Greek revolutionary leader during the Greek War of Independence, politician and officer of the Hellenic Gendarmerie. He was born in 1790 in Soudena near Kalavryta. He was the son of Athanasios Petimezas. After his father was murdered in 1804 he fled to British-held Zakynthos, and enrolled in the British-sponsored Greek light infantry units. He returned to the Peloponnese at the outbreak of the War of Independence, and fought in several battles. In 1826, with 600 men, he occupied Mega Spilaio and drove back the attacks of Ibrahim Pasha of Egypt. He was chosen as a representative of his native Kalavryta in the Greek National Assemblies, and became an MP in the independent Kingdom of Greece. He died in Kalavryta in 1865. The Third Greek National Assembly at Troezen (Greek: Γʹ Εθνοσυνέλευση της Τροιζήνας) was convened during the latter stages of the Greek Revolution.